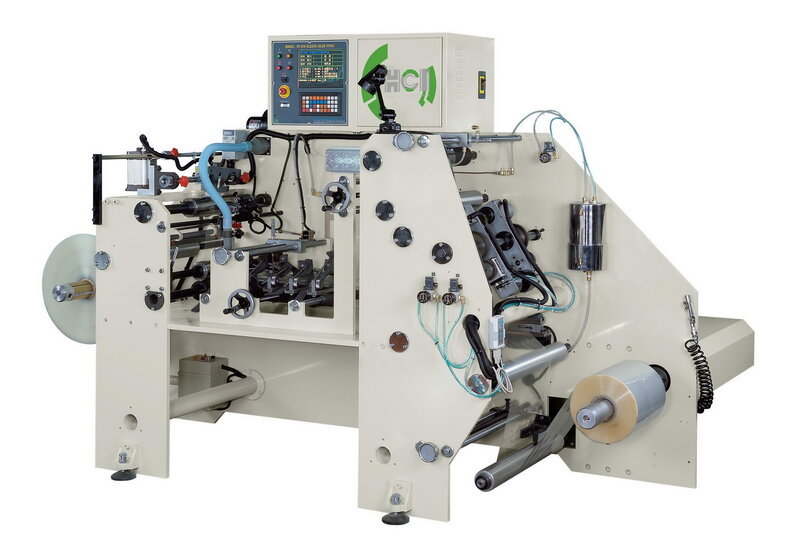 High Speed Shrink Sleeve Glue Sealing Machine (Sleeve Seaming Machine)(FP-250) - HCI Converting Equipment Co., Ltd.
Main drive AC motor + inverter. Cantilevered unwind 3" air shaft for fast roll changeover. Web guiding system provides the accuracy shrink sleeve seaming position. Sleeve width adjusting device: forming plate unnecessary when shrink sleeve width over 50mm, bring down the production cost. Solvent flow adjusting system: the flow of solvent is automatically match up with the machine speed varies. Equipped with tension load cell assure extremely stable rewinding tension without the need to adjust it when speed and diameter varied. Twin line vertical continuous perforation device.